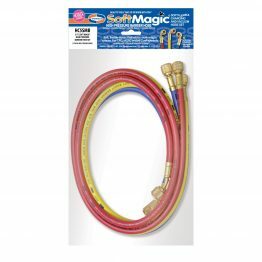 Soft Magic® Hoses – Uniweld Products, Inc.
Uniweld’s Soft Magic® Hoses; premium, large I.D. 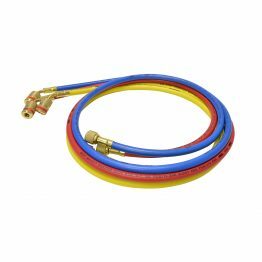 Hoses for CFC, HCFC and HFC refrigerants. 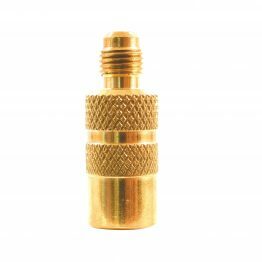 Supplied with large, knurled hose nuts and rubber gaskets for easy finger tightening or wrench tight metal to metal seat hex flare nuts and copper gaskets. 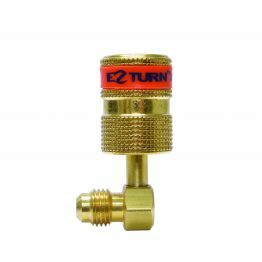 Choose from 3/8″, 1/2″ and 3/4″ I.D. 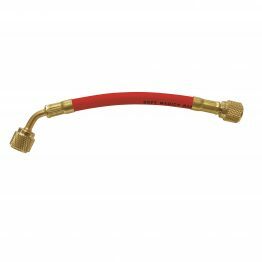 hoses to suit your requirements. 2-year over-the-counter replacement warranty*. 90524 Rubber 6″ 3/8″ Str. x 3/8″ Str. 90525 Rubber 12″ 3/8″ Str. x 3/8″ Str. 90526 Rubber 24″ 3/8″ Str. x 3/8″ Str. 90500 Rubber 36″ 3/8″ Str. x 3/8″ Str. 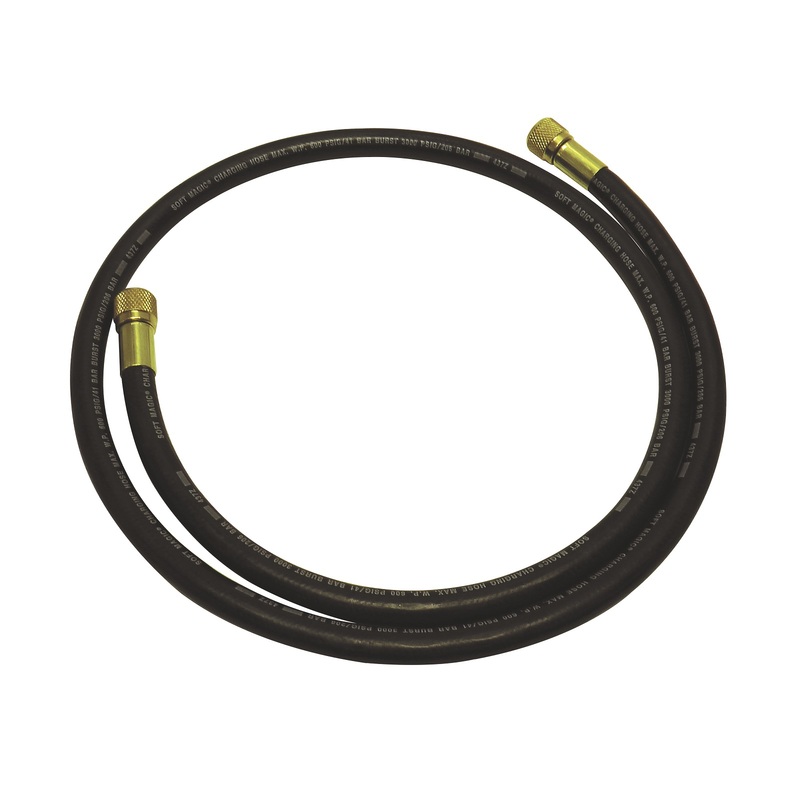 90501 Rubber 48″ 3/8″ Str. x 3/8″ Str. 90502 Rubber 60″ 3/8″ Str. x 3/8″ Str. 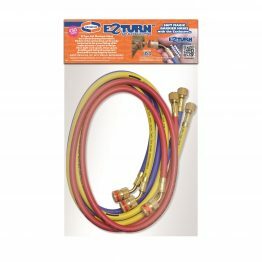 90503 Rubber 72″ 3/8″ Str. x 3/8″ Str. 90504 Rubber 96″ 3/8″ Str. x 3/8″ Str. 90505 Rubber 25′ 3/8″ Str. x 3/8″ Str. 90506 Rubber 50′ 3/8″ Str. x 3/8″ Str. 90507 Rubber 100′ 3/8″ Str. x 3/8″ Str. 90238 Rubber 36″ 1/2″ Str. x 1/2″ Str. 90239 Rubber 48″ 1/2″ Str. x 1/2″ Str. 90240 Rubber 60″ 1/2″ Str. x 1/2″ Str. 90241 Rubber 72 “ 1/2″ Str. x 1/2″ Str. 90242 Rubber 96″ 1/2″ Str. x 1/2″ Str. 90243 Rubber 25′ 1/2″ Str. x 1/2″ Str. 90244 Rubber 50′ 1/2″ Str. x 1/2″ Str. 90245 Rubber 100′ 1/2″ Str. x 1/2″ Str. 90246 Rubber 36″ 5/8″ Str. x 5/8″ Str. 90247 Rubber 48″ 5/8″ Str. x 5/8″ Str. 90248 Rubber 60″ 5/8″ Str. x 5/8″ Str. 90249 Rubber 72″ 5/8″ Str. x 5/8″ Str. 90250 Rubber 96″ 5/8″ Str. x 5/8″ Str. 90251 Rubber 25′ 5/8″ Str. x 5/8″ Str. 90252 Rubber 50′ 5/8″ Str. x 5/8″ Str. 90253 Rubber 100′ 5/8″ Str. x 5/8″ Str. 90508 Metal 36″ 1/2″ F.F. x 1/2″ F.F. 90509 Metal 48″ 1/2″ F.F. x 1/2″ F.F. 90510 Metal 60″ 1/2″ F.F. x 1/2″ F.F. 90511 Metal 72″ 1/2″ F.F. x 1/2″ F.F. 90512 Metal 96″ 1/2″ F.F. x 1/2″ F.F. 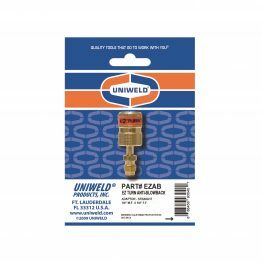 90513 Metal 25′ 1/2″ F.F. x 1/2″ F.F. 90514 Metal 50′ 1/2″ F.F. x 1/2″ F.F. 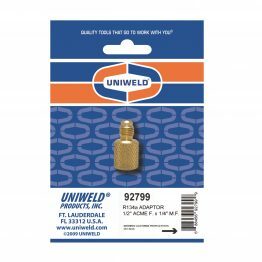 90515 Metal 100′ 1/2″ F.F. x 1/2″ F.F.